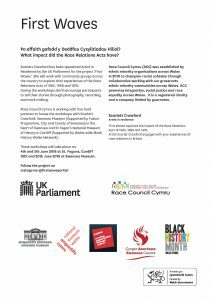 Black History Cymru Elders Forum meet at Swansea Museum from 9.30am – 4 pm with Artist Scarlett Crawford. lunch will be provided. First Waves explores the impact of the Race Relations Acts of 1965, 1968 and 1976. 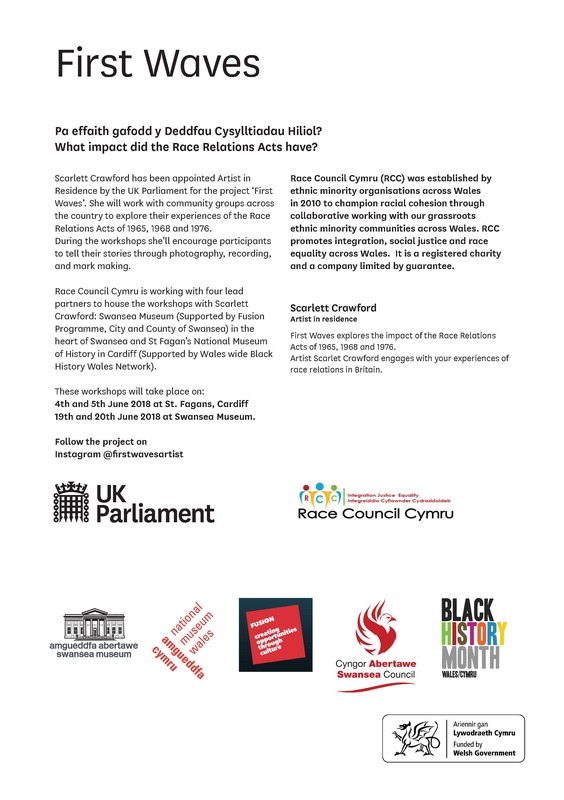 Artist Scarlet Crawford engages with your experiences of race relations in Britain.